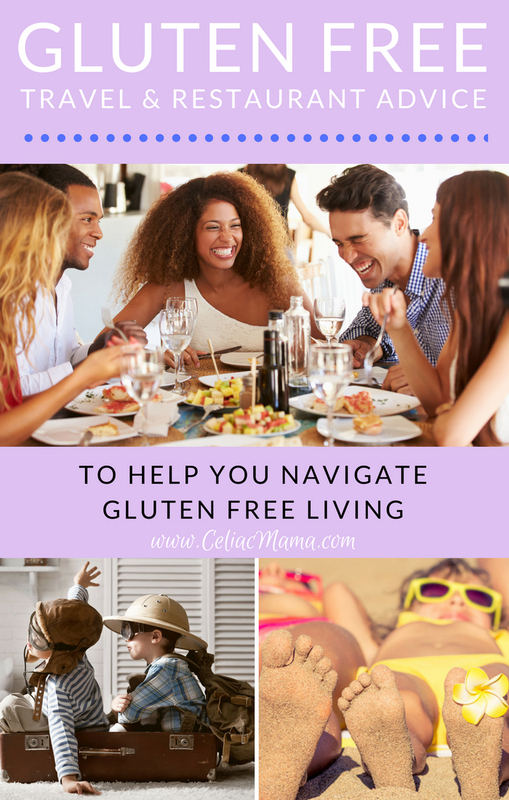 Grabbing a bite to eat on the go, sitting down for lunch with a friend, or having a celebratory end of the week pizza night out at a local restaurant with family may seem like no problem, but when you have a child with celiac disease, you are severely limited when it comes to eating out anywhere. Unless it is a gluten free restaurant, meaning the kitchen is 100% gluten free, you can’t be sure that your child won’t get sick from poorly trained staff or cross contamination. The same goes for having a meal at a family member or friend’s house or going on a play date. Add traveling for vacation to the mix and you have a whole new set of things to think about. These simple pleasures become wrought with anxiety over whether you’ve taken enough precautions, asked enough questions, paid close enough attention, packed enough supplies, etc. But, fear not. We have developed some tips that will help you make informed choices when eating out, plan exciting trips, and be prepared to make your child’s play dates and family get togethers FUN. Restaurants: Always call first and speak to manager ahead of time so you don’t waste your time. Once there, tell your waiter that you have celiac disease (sometimes I say severe wheat allergy if they have no idea what celiac disease is) and of any other allergies, and tell them how food needs to be prepared. Play Dates: Always have gluten free snacks, and pack two of everything. That way, your child will have something yummy to eat. Bonus – if another child that has been eating gluten sticks their hand in your child’s food bag or wants to share treats you have a second, safe option. Travel: Planning makes perfect! Read this blog for travel tips.